"Manni Nössing is a producer Doug discovered several years ago in Italy, whose wines he has since been drinking and coveting for years. Manni proved to be very elusive--it took years to track him down and then have him sell us some wine. 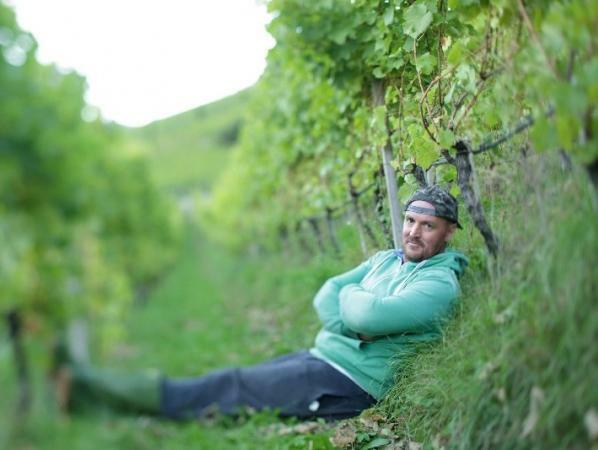 He produces a tiny amount (6 wines and 2,500 cases total), from only 5 hectares of vines located in Brixen (Bresanone). They are situated northeast of Bolzano, in the Isarco Valley or Val d'Isarco (Eisacktaler DOC designation), a sector that favors Kerner (and Veltliner, Sylvaner). He had previously only sold his wines in Italy. Manni's first vintage was in 2000, before which he sold his grapes to the co-op of Abbazia di Novacella. The vineyards are parceled out into many smaller pieces of varying elevation, exposition and slope. The grapes are all picked by hand for optimal ripeness and balance between sugar and acid. The wine is fermented in stainless steel and aged on the lees for 8 months before bottling. Given the small scale of the operation, the micro-management of the vineyards, and the extended aging on the lees, the wines show a concentration, precision, minerality, texture and balance that is riveting and sets them apart from most of what is produced in the exciting, though certainly underrated region of the Alto Adige/Sudtirol. Kerner has its roots in Germany, where it is now the third most widely planted white varietal. Like Müller Thurgau and Scheurebe, Kerner is made from a cross with Riesling and the red grape Trollinger, also called Schiava Grossa. Nossing's Kerner is his biggest production wine, about 10,000 bottles. The Veltliner is super rare, not only for him (about 3,000 bottles), but also in Italy with only 15 hectares planted in all of the country!"